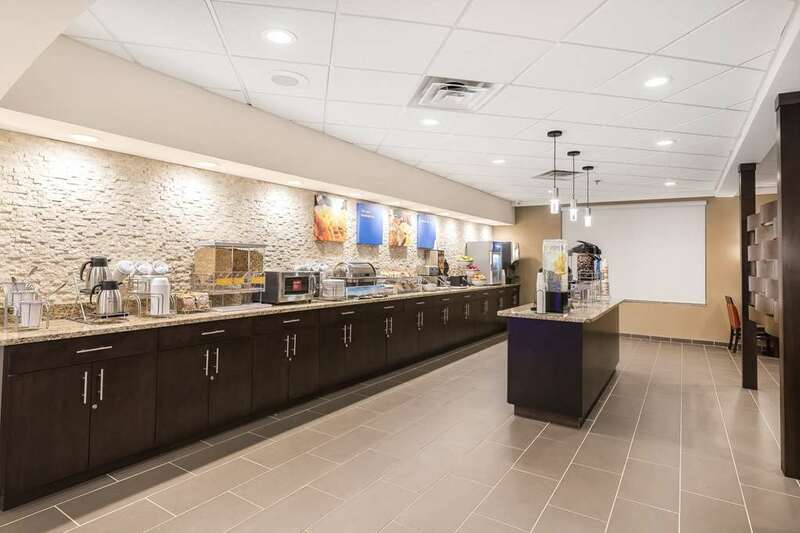 Conveniently located 10 minutes from Downtown Detroit, the Comfort Inn and Suites Allen Park - Dearborn hotel helps you refresh and recharge. We are near attractions like Comerica Park, Ford Field, Joe Louis Arena, Greenfield Village and Henry Ford Museum, as well as businesses like Ford World Headquarters, University of Michigan-Dearborn, Henry Ford and Oakwood Health Systems and ATT. Amenities that you can count on like a free hot breakfast, free WiFi, a business center, indoor heated pool and fitness center. All guest rooms offer a 32-inch HDTV, coffee maker, hair dryer, microwave, refrigerator, iron and board. Earn rewards with every stay with our Choice Privileges Rewards program.